Ack, I missed Black Day! 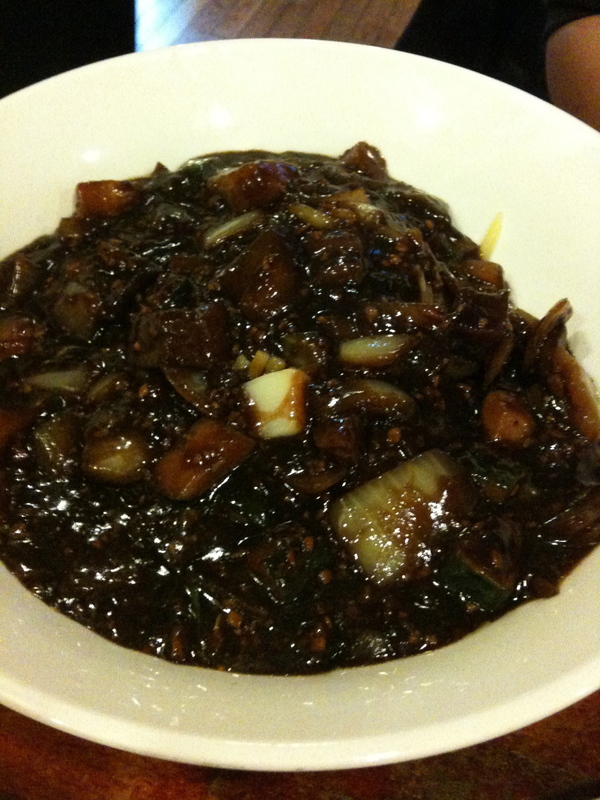 April 14 in Korea was Black Day, the day that single people get together and eat black bean noodles or jjajangmyeon, that classic Korean-Chinese dish. It’s a bone thrown to them since they miss out on February 14, Valentine’s Day, when girls get the boys chocolate, and March 14, White Day, when the boys give presents in return. Personally, I think it’s a pretty good bone. Sorry the picture is so unappetizing. It’s hard to photograph noodles covered in greasy, delicious black bean sauce. This is from a restaurant called Chinese House (or Joongukjip in Korean) in Flushing. Now I am really hungry for some jjajangmyeon.